In my never-ending quest for cheap and cheerful food, I have been meaning to go to Marrickville and taste good Vietnamese food for a while, but haven’t had the opportunity so far…. 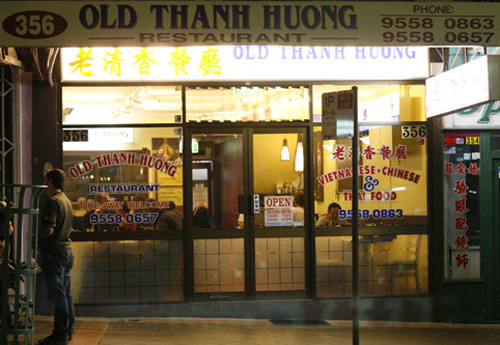 That was until our friend Brian, a die-hard foodie, Bourdain fan, decided to introduce us to one of his old time favourites: Old Thanh Huong, his second home away from home for many years now. He even calls the lady who manages it his “Marrickville Mum”: awww…!